The mission of Norway House Health Services Incorporated (NHHS Inc.) is to build a healthy community and to provide a caring, consistent service to the people of the community. NHHS Inc. will strive to provide awareness, health education, health promotion, health care and support to clients. NHHS Inc. will work toward empowering the clients to develop skills and to set plans and goals for achieving mental, physical, spiritual and emotional well being. Resolutions were passed in 2003 by Norway House Cree Nation Chief & Council and Norway House Community Mayor & Council to form the Norway House Health Services Incorporated Board of Directors. This Board was comprised of Norway House Community Council members and the Norway House Health Services Committee. The Norway House Health Services Committee was initially made up of the Chief and three Councillors, a quorum of Council that supported and governed the health programs and services delivered by Norway House Cree Nation. The Community Council members were officially part of the Board in 2006 when Provincial legislation was changed. New legislation allowed Mayor and Council to pass a by-law to be part of a health board in conjunction with a First Nation. Although it took a period of time for the Community Council members to legally be part of the health board all the members acted in unison as the Health Integration Initiative project progressed. As stated in the Band Council Resolution and Community Council Resolutions  The NHHS Inc. Board was to be given the mandate and authority to handle all health related matters for the Community and its residents. This would ensure that all issues, matters and concerns affecting healthcare are funneled into one unit. The aim of establishing NHHS Inc. was to work toward a collective health program for all of Norway House. The progression of the Corporation is still underway, and the Board of Directors are now seeking an Executive Director to complete the goals of the Health Integration Initiative. The Board is composed of an equal number of representatives from each Council consisting of three Cree Nation and three Community Council members, as well as two Elder Advisors. The initial use of Council members as board members allows for stable negotiations with Partners, ensuring that the anticipated outcomes are adhered to. Once all negotiations are complete transfer of funding agreements and services form Norway House Cree Nation to NHHS Inc. can legally occur. In addition, new board members will be appointed and elected by the Councils and community members. Norway House Health Services Inc.: A legal Incorporation as per Province of Manitoba guidelines that is comprised of community members to provide organized programs and services. The NHHS Inc. will develop and reach an agreement on a plan for bringing together (integrating) health services and programs currently provided through Federal and Provincial programs in Norway House. The Health Integration Initiative (HII) Staff have assisted the NHHSI Board with the premature stages of their full implementation as a collective unit. 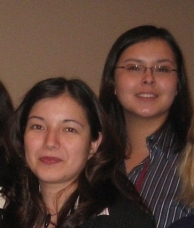 The Executive Director to be hired in the Spring of 2007 will take over the duties of the Health Integration Initiative staff, and bring together the goals of the HII project with that of Norway House Cree Nation health services. Norway House Cree Nation is one of the largest First Nations in Northern Manitoba and is located adjacent to the community of Norway House. The reserve consists of 19,435 acres along the southern shoreline of Little Playgreen Lake and the Nelson River. Norway House is a beautiful community made up of the mainland, and three islands connected by bridges. The population is comprised of approximately 6,700 people with the majority residing on the reserve. Norway House is approximately 920 kilometers North of Winnipeg and 200 kilometers south of Thompson. The community is accessible by an all-weather road and airline services. There are scheduled flights daily to and from Winnipeg provided by two airlines, Perimeter and North American Charters. A Provincial ferry is accessible 24 hours daily during the spring to autumn seasons. An ice crossing is utilized in the winter. The governance of the Norway House Cree Nation is comprised of one Chief and six Councillors who are elected to four-year terms, rather than the two-year terms established under the Indian Act. The community of Norway House is governed by one Mayor and six Councillors, elected in on staggered three-year terms. The community is regulated by the Aboriginal and Northern Affairs Act - Province of Manitoba legislation. Developments continuously occur through resources supplied by the land, people and external businesses, organizations and agencies. There is an ever-increasing number of negotiations that produce greater capacity building in the community members of Norway House, especially in the areas of education, economics, and human resources. A brand new state-of-the-art integrated education centre for Nursery to Grade 12 was officially opened in September 2004. The University College of the North was also established in 2004 and operates approximately 10 post-secondary programs. Norway House continues to grow in its capacity due to its outstanding level of partnerships. One remarkable trademark of this community is a large amount of the programs and services is owned and operated by its own Aboriginal people. One can only expect higher levels of standard and positive outcomes for the future. The Norway House Health Services Inc. logo was developed by two talented local Norway House residents: Larson Sinclair and Bryan Crate. The logo has been designed to incorporate the spirit of the Norway House Cree Nation, the Norway House Community Council and the health related services offered throughout the community. The outer healing hands show the aim of NHHS Inc. to enable our people to heal holistically. The history of Norway House is marked by the white and red archway which was built in the 1840's. It was used during the beginning of the Fur Trade era and is currently the oldest "Red River construction style warehouse" in Manitoba. The flag above the archway symbolizes the Metis Nation. The York Boats floating on either side of the flag were used during the Fur Trade to transport furs and goods from Red River settlements all the way to York Factory. Today these boats mark the community's Treaty and York Boat Days, a significant summer celebration. Several symbols illustrate the culture of the people residing in Norway House. The four colors white, blue, red and yellow represent the four directions - north, east, south and west - and the four races of people - white, black, red, and yellow. The circle is a powerful symbol in Aboriginal culture as it shows the connectedness in nature and the interrelatedness of all living things. All entities of mother earth are equal. The outer components of the circle are half and half representation of the Aboriginal peoples within Norway House; half Metis sash and half sweetgrass with embracing feathers. The landscape and peace pipe that mark the horizon show our kinship with nature. The pipe has been traditionally used by medicine peoples and/or healers to assist with communication of prayers to the Creator. The smoke from the pipe comes in the form of an eagle - a very powerful, strong being. The bear print depicts the healing and strength of the "Bear spirit". All components mark the sum of the parts of Norway House, a very multi-faceted community.